Norton Core Router | Introducing the Future of WiFi. The smart, more secure WiFi Router. We set out to change Wi-Fi forever. The result is Norton Core™. Norton Core™ is a more secure wireless router that delivers the protection and performance that you need. Norton Core™ leverages Symantec’s Global Intelligence Network to help defend your connected home against malware, viruses, hackers and other cyberthreats. Welcome to more secure Wi-Fi. What Makes My Connected Home Vulnerable? From smart TVs to Wi-Fi security cameras, these connected devices make life easier, but also may give hackers an easy on-ramp to access your network. Passwords won’t stop hackers from breaking into a conventional router. Even if your router is password-protected, cybercriminals may still access devices connected to your Wi-Fi network and steal your personal information. Help protect your connected devices in your home against cyber threats with The Norton Core™ Secure WiFi Router. It helps defend your home network and connected devices against malware, viruses, ransomware, spam, intrusions, and more. For additional details see the New York Times paid post. How Can Norton Core™ Help Keep My Connected Home Safe? Backed by Symantec, Norton Core™ connects to Symantec’s global intelligence network through the bundled software, helping it to protect against the most advanced threats. Internet threats are constantly evolving. Norton Core is designed to automatically update its knowledge of known viruses and other threats so you don’t have to. Norton Core Security Plus helps protect your home network and all of your connected devices from cyberthreats. 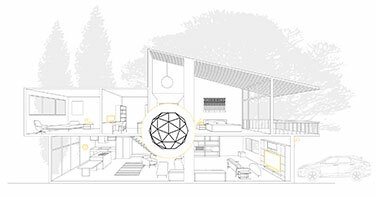 Norton Security is also included to protect up to 10 devices against malware, viruses and hackers outside the home. Parental control features are also included for your kids’ devices whilst at home or on-the-go. Why Should Norton Core be my Router of Choice? Norton Core™ is built to provide amazing speed and coverage so you can stream your favourite movies in 4K, play games online or download any content simultaneously from any room in your home. Norton Core™ is a smart and more secure Wi-Fi router that helps protect your home network and your connected devices against malware, viruses, hackers and cybercriminals1. You can manage your home network right from your connected smartphone with the Norton Core mobile app. You can enable guest access, allow or deny devices to join your network, manage Wi-Fi settings and adjust kids’ screen time, at home or while on the go. The bad guys want in. This is how you stop them. Traditional Wi-Fi routers may not be smart enough to keep cybercriminals from breaking into your home network and devices – even with a password. Norton Core™ is. It is a smart and more secure Wi-Fi router that includes Norton Core Security Plus to help block threats from cybercriminals before they can infiltrate your connected life2. Set-up is quick and easy with our smartphone app, giving you access to fast Wi-Fi3 with broad coverage.4 Plus, you get protection for unlimited connected devices inside the home and Norton Security to cover 10 computers, smartphones or tablets outside of the home. Symantec’s recent Internet Security Threat Report5 showed there was a 600% increase in IoT targeted attacks in 2017, and routers were the number 1 targeted IoT device (at 38%). Norton’s award winning software protects your PCs, laptops and smartphones from hackers and cybercriminals. But today’s connected homes now have smart TVs, Internet security cameras, gaming consoles, baby monitors and other home automation devices that require something more. Through deep packet inspection, intrusion prevention, and more, Norton CoreTM helps defend your home at the network level. Norton CoreTM fends off cyberthreats before they can infiltrate your home and compromise your personal life. Manage your entire home network, right from your mobile device. With a single tap the app shows you exactly what devices are on your network at any given time, with real-time upload and download speeds. It even gives you the power to adjust WiFi settings and block suspicious behaviour—from anywhere. Includes one-year subscription to Norton Core Security Plus. After the first year, subscription renewals are required. *Norton Core hardware and subscription details below. By purchasing Norton Core you receive a one-year complimentary subscription to Norton Core Security Plus. Norton Core Security Plus subscription is required to maintain security and parental control features after the one-year subscription term concludes. Please review complete terms during setup. Norton Security subscription term begins once Norton Core is activated. Usage & other restrictions apply. Your subscription includes protection updates and new features as available during your subscription term, subject to acceptance of the Norton License Agreement. For details on Norton Core returns, please visit the Norton Return Policy. The two-year limited hardware warranty can be found here. For purchase and use only in Australia and New Zealand. Maximum wireless data rate is derived from IEEE standards 802.11 specifications. Data speed and range may vary due to network conditions building materials and construction, obstacles and interference. Deep packet inspection (DPI), an advanced security benefit, may impact performance on untrusted sites or network traffic. Other adverse conditions may also lower actual data rate and wireless coverage. 1 As compared to routers without enhanced security features, Norton Core’s security features require an active Norton Core Security Plus subscription. 2 Norton Core Security Plus is required for security and parental control features. 3 Deep packet inspection, a security feature, may affect speed. 4 Coverage depends on the size, layout and composition of your house. 6 Requires mobile data plan or an Internet connection.